Sivertson Blog » Day 12 – The Last Day of Gifting! Day 12 – The Last Day of Gifting! Day 12 – The Last Day of Gifting…. Today is the 12th Day of Gifting! Can you believe it? Tomorrow is the last Elfin’ Saturday before Christmas! On this final day, we thought long and hard on who we would feature. He or She had to be a slam bang finish to a truly incredible list of artists. I think you will all agree, we could not have chosen a better artist for Day 12. With great pleasure, I introduce our final artist of 2013’s 12 Days of Gifting… Jim Brandenburg! Jim’s wall at the gallery is one of the most highly trafficked spots in town. 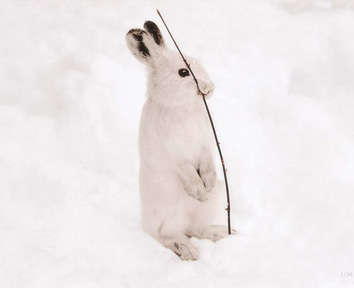 It is not possible, not even for Scrooge, to walk past “Snowshoe Hare & Twig” and not let out some form of a coo or a smile. It’s true! The crisp and bright photographs taken by Brandenburg are like no other. 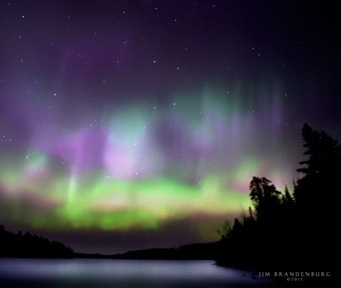 What great pride we should take in our fellow Northern Minnesotan, Jim Brandenburg. Not only does he capture our Northwoods with its flora and fauna so brilliantly, his work in the Arctic and Europe captures our hearts as well. This was apparent in the summer months when we added “Wild Horses of Holland” to our already plentiful Brandenburg collection of images. Whether you give the gift of Jim’s beautiful photography to family, friends, or a treat for yourself, Brandenburg photographs are an amazing and powerful addition to any home. 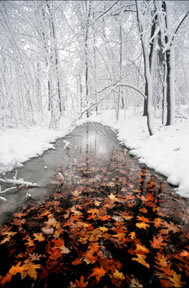 I hope you all have enjoyed the 12 Days of Gifting as much as we have here at Sivertson Gallery and Siiviis. On behalf of us all, I want to say Happy Holidays and thank you so much for your generous support, laughter, and love in 2013. Hope to see you all very soon.